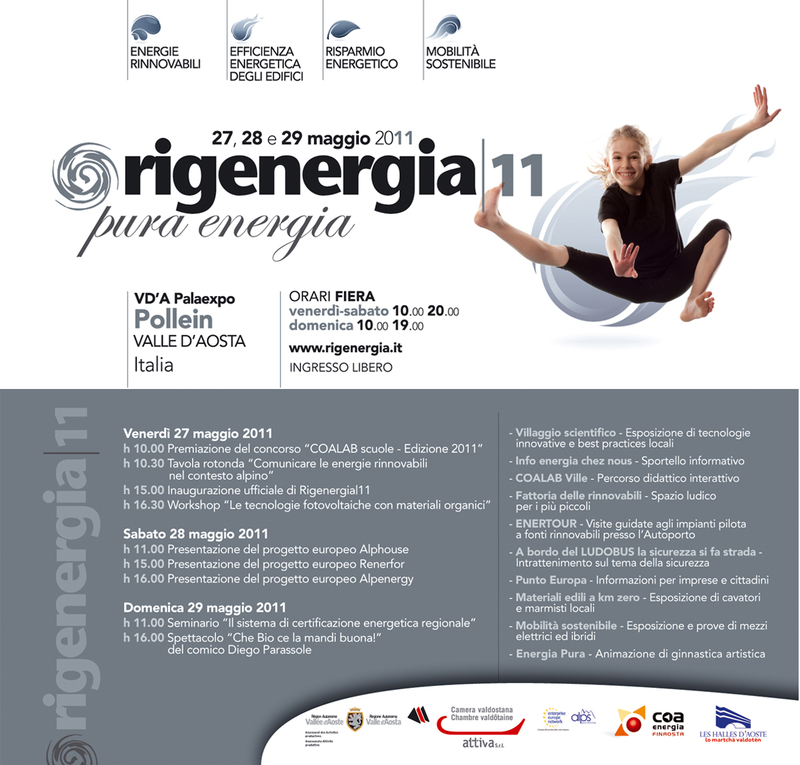 The fifth edition of the trade fair/project Rigenergia will be held on 27-28-29 May 2011 at the VD'A PALAEXPO Autoporto in Pollein (AO - ITALY) which will host events, shows, technical and informative workshops on energy efficiency, promoted by the Chamber of businesses and professions for the Valle d'Aosta. For three days the Valle d'Aosta will be transformed into an alpine laboratory of excellence for themes related to energy saving, renewable energy, energy efficiency in buildings and sustainable transport. 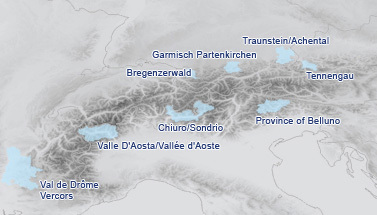 In this context, AlpHouse will be present with an exhibition dedicated to "Best Practices", that is with application examples of technologies in energy optimisation and renewable energy systems in the Valle d'Aosta region with an information panel on the project and on the energy requalification techniques applied to traditional buildings in the Aosta Valley. 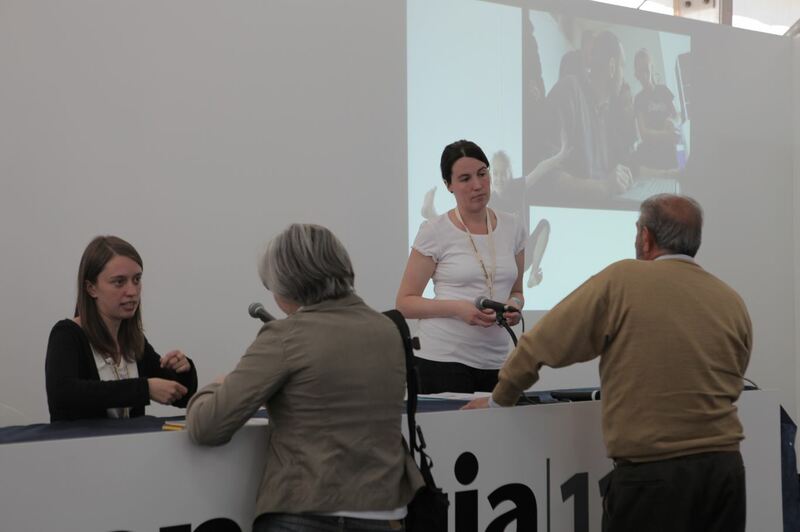 On Saturday 28 May, from 11.00 to 12.00, in the Conference Hall VD'A PALAEXPO, regional and extra-regional experiences of the AlpHouse training programme for SMEs, professionals and local Valle d'Aosta administrations regarding energy efficiency bringing together tradition and innovation.